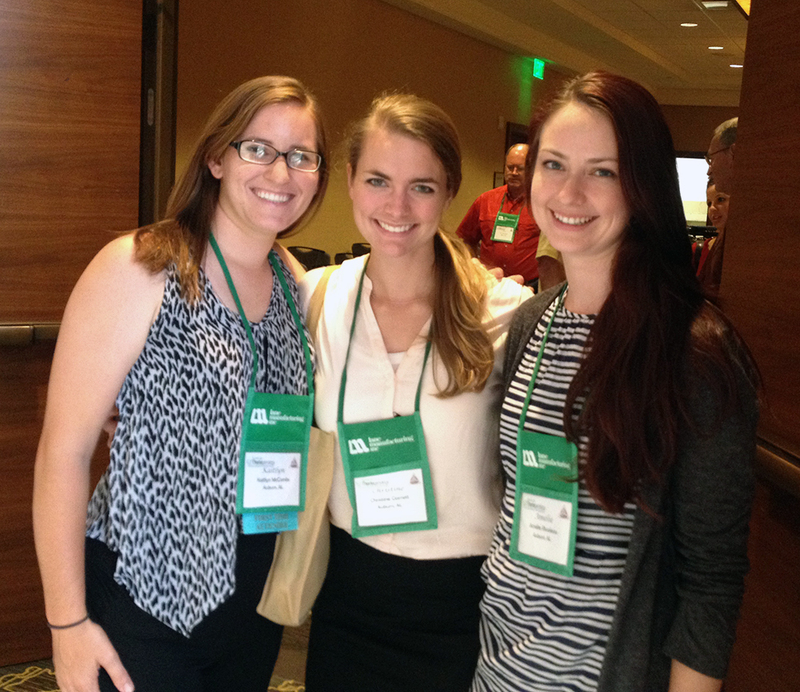 Students from Auburn University’s College of Veterinary Medicine placed in the top five in all national competitions at the Society for Theriogenology’s (SFT) Annual Meeting in San Antonio. Prior to the conference, students submitted an abstract from a case they had seen or research they had conducted. The top six submissions were invited to give an oral presentation of their abstract, while six runner-ups were invited to give poster presentations. 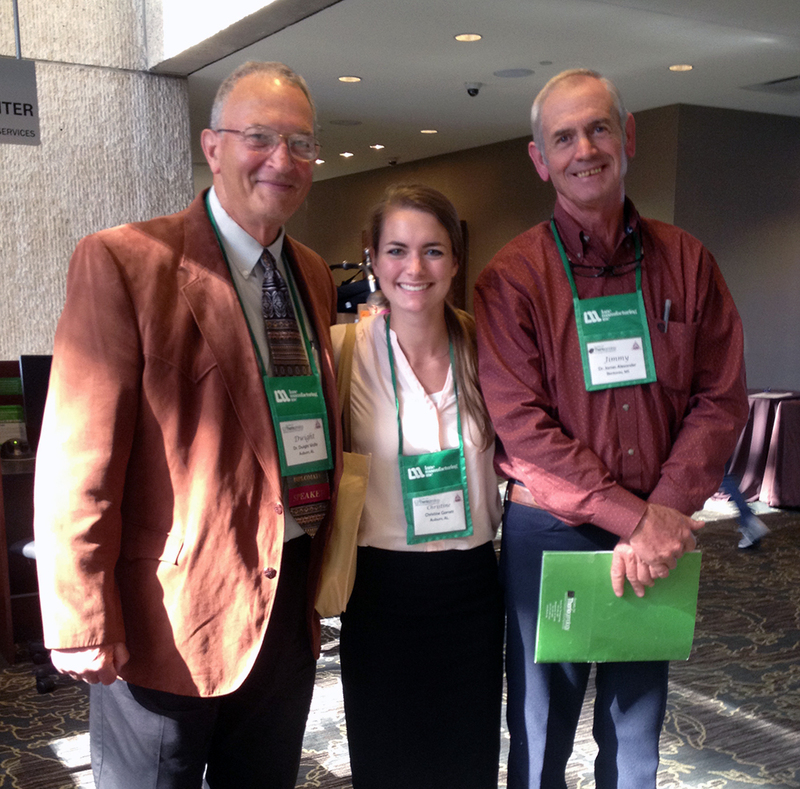 Kaitlyn McCombs, second-year SFT member from Hueytown, Ala., was the fourth student to attend the conference. The Auburn student chapter also placed second for the Student Chapter of the Year Award, first in a T-shirt design competition and fifth for a quiz bowl, a game-show style event that tests three-member teams on their knowledge of theriogenology. 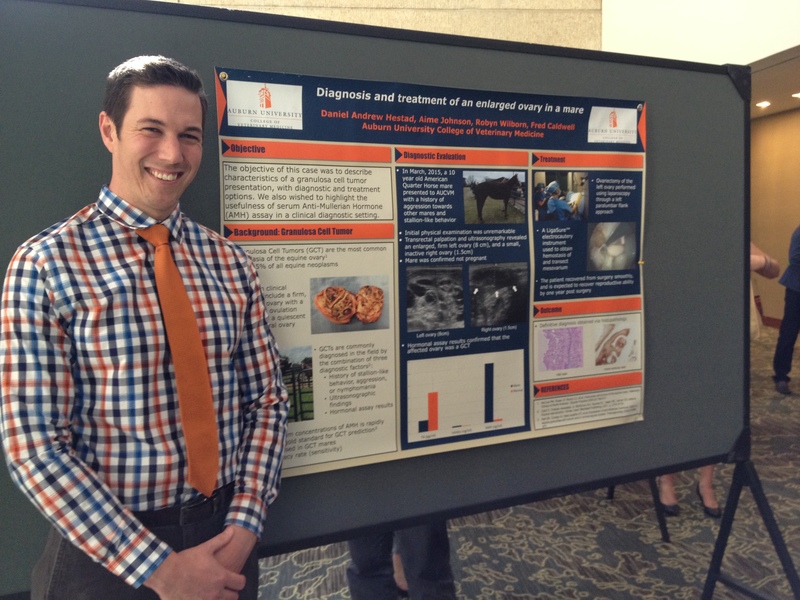 During the conference, veterinary medicine students were paired with a professional mentor, which was rewarding for Garrett. “It was great because they really emphasize student involvement. We got to learn from some of the best theriogenologists in the world,” she said.